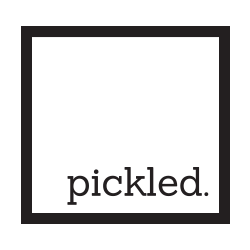 Located in Elizabeth Bay, Pickled brings you home made pickles, the best toasties and the finest coffee from our local suppliers. I love food. I love preparing it and I love eating it. I have been in the hospitality game for over 14 years and have finally decided to branch out and focus on my passion. Pickling. It might seem unusual to some, but I've set up a great local cafe with superb service and great local coffee and produce to share a little bit of my passion with you. You can look forward to some pickles made with love with some of your dishes. I have engaged DC coffee as our supplier of various beans for various styles of coffee. We don't only offer you a great cup of coffee, but also offer to take you on a journey with our various styles of preparation - Cold drip, Chemex and other serving methods to really challenge your palette. Check our menu to see what blends and Single origins we have at any given time. We want you to love coffee as much as we do. Some years ago I was travelling and managed to stumble on some incredible toasted sandwiches, I was hooked so i've taken the time in sourcing the best bread, butter and cheeses around to bring you the best toasties in the bay. Pop in and say hi and let me share things that I love. TOASTIES - ALL BLOODY DAY ! Crispy bacon, free range egg, pickled onion, provolone and tomato relish. Gruyere and pecorino and house pickled onion. Pickled chilli optional. Ham, cheddar, seeded mustard, pickled onion & dill pickles. We love hearing from you. Drop in or drop us a line.